The lawsuit alleged the clerk acted improperly by automatically imposing the fees before any debt collection services were performed. Harvey Ruvin, clerk of courts, in his Miami-Dade County office. Photo: J. Albert Diaz/ALM. 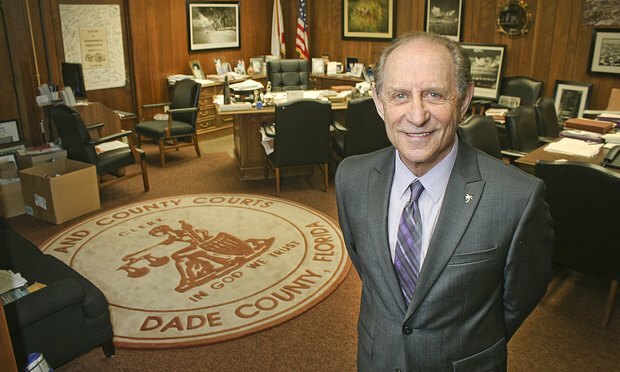 A federal judge dismissed a putative class action against Miami-Dade Clerk of Courts Harvey Ruvin and a debt collector over the imposition of 40 percent collection fees on penalties such as traffic ticket fines.